was the remarkable gap between the known facts about Shakespeare of Stratford and the traits and characteristics of the author revealed in the Shakespeare canon that led an English schoolmaster to suppose that the real author was someone else, and to search for him in the backwaters of Elizabethan poetry. substituted an alternative author and fabricated physical and literary evidence to perpetuate the fable. The web of evidence associating Oxford with the Shakespeare canon is robust and far-reaching, and grows stronger and more complex every year. Although he was recognized by his contemporaries as an outstanding writer of poetry and plays, he is the only leading dramatist of the time whose name is not associated with a single play. This fact, alone, about any other person would be sufficient to stimulate intense interest and considerable research. 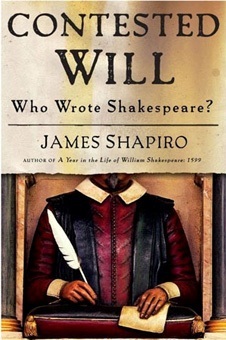 Yet the Shakespearean academic community has not only failed to undertake this research itself, it has willfully and consistently refused to allow presentations or to publish research on the Authorship Question by anyone who disputes the Stratford theory. What Oxfordian research it does not ignore, it routinely dismisses, usually with scorn and sarcasm, as unworthy of serious consideration.